If you’re planning to be in your home for a long time, you may be considering ways to make it more comfortable and luxurious. You love your backyard, for instance, but if you’re going to be hanging out there every summer for the next two decades, maybe it could use a pool. And maybe that one-car garage should be a two-car or three-car garage! You may be considering these improvements because of the many yours you expect to enjoy your home. But it’s also worth thinking of the opposite: you probably won’t be in this particular home forever. 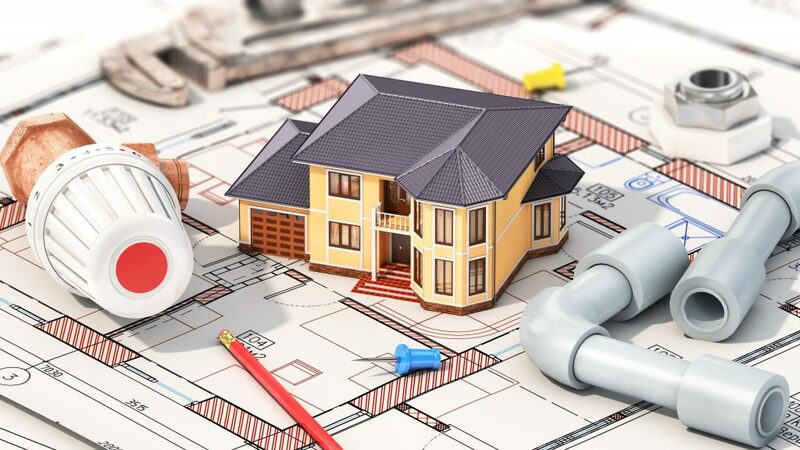 If there’s any chance that you’ll someday sell your house, home improvements should be considered not only for what they offer you in terms of joy and comfort, but also for what they do to the value of your home. Home improvement isn’t just about improving your life; it’s also about making a real estate investment. How will your Projects Affect the Price of your Home? When you sell your home, you won’t take the patio with you. The overwhelming majority of home improvements change things about the property that will be passed on to the next owners if and when you choose to sell. So you should consider how others – from the property assessor to prospective buyers – might someday think about your choices. In general, home improvement projects will raise the value of your home. But it’s worth noting that some installations, such as pools, can actually reduce the value of your property (since some people don’t want to bother to take care of a pool, and since pools can’t be easily removed, putting one in reduces your home’s appeal – though this is more true in some areas than in others). Do some research! While you shouldn’t base your entire decision on future financial concerns, those concerns should be a part of the conversation. Different improvements can have different effects on the value of your home, and some can even cost you money. But the good news is that, in the overwhelming majority of cases, improving and updating your home will boost the value of the property at least a little bit. That means that you can see expenses like a new patio or a home addition as more than just money spent on your own comfort. You can also view that money as an investment in your property! No longer is the question merely a balance of cost and your own happiness – you can also now factor in a bit of money coming back your way when you sell your property, because you’ll get more for it than you otherwise might have. Maintaining your property means making regular repairs and keeping up with maintenance, but it can also mean making sure that your space is up to date. A functional and modern home will sell better than a dated one, so getting those new countertops may not be a purely aesthetic decision. If you sell while those countertops are still in style, you’ll get more for the home than you would have if you’d kept the old outdated ones. In the end, choosing to make an improvement to your home is about all of these factors and more. Homes are for living, so enjoy life! But if you’re finding the decision difficult, remember to include the potential future benefits that come with improving your property. You may be surprised to find out how much sense it makes to get that outdoor kitchen you’ve always wanted.